Lauren Sieberg is currently a junior at Seabury Hall. After spending the first eight years of her life in Franklin, Massachusetts, she moved to Maui, exchanging snowmen and puffy winter boots for soft sand and a pair of flip-flops. She is closest to her younger sibling Kimberly, who is a freshman at Seabury this year, and her best friend Angela Schmitt, a fellow junior. Sieberg first attended Kamali’i Elementary in Kihei to finish her last three years of primary school, then proceeded onward to spend her intermediate school years at Carden Academy of Maui. Her favorite subjects in school are English and history, likely due to her love for words and stories. She has enjoyed running the Fandom Club at school since her sophomore year; the club is a group that promotes reading and being yourself. Outside of school, Sieberg does her best to let her inner five-year-old shine. She likes to sit back and watch classic Disney movies with friends and family, and collects merchandise from her favorite television shows and books, including but not limited to “Harry Potter,” “Once Upon a Time,” and numerous contemporary cartoons. 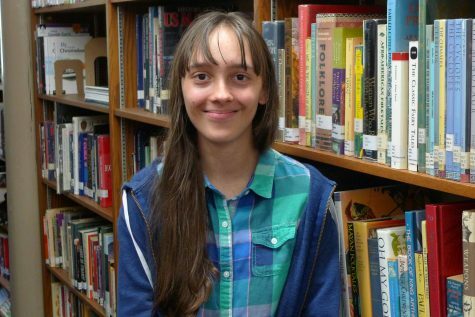 With whatever time she has not dedicated to school work or relaxation, she helps out on a Minecraft server by moderating the network and assisting those in need. Sieberg also loves free writing in her spare time. This past summer, she attended a creative writing program at Stanford University to improve and apply new techniques. Her dream is to become a successful fantasy writer for all ages, and possibly an English teacher.